Editor’s note: This blog post was written by Enough Project intern Emily Collinson. April is Genocide Awareness and Prevention Month, which offers survivors, students, and advocates the opportunity to remember, commemorate, and act on behalf of those affected by genocide. This year, the Enough Project and more than 20 partner organizations have launched Moving Beyond Witness, a national campaign to energize those working to commemorate lives lost in past genocides, end ongoing atrocities, and prevent future ones. 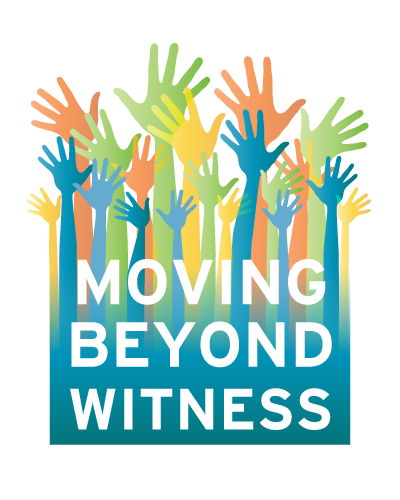 Moving Beyond Witness serves as a platform for cross-country coordination of events, online and social media actions, and a creative, offline action that empowers communities to define what it means to move beyond witness. Spearheaded by the Carl Wilkens Fellowship, the campaign partners have published a toolkit to support participants as they plan their own events for the month of April and beyond. The toolkit provides ideas and steps for activists to plan events such as fundraisers, film screenings, passing campus or city conflict-free resolution, and meeting with their Members of Congress. Anyone can also add events to a national registry of Genocide Awareness and Prevention Month events, and/or view events near you on this map. Visit the Moving Beyond Witness website now to find and share ways you can take action this Genocide Awareness and Prevention Month.